This guest post is brought to you by Aaron Rodrigues. He is a consultant within Stantec’s Transport Planning and Future Mobility practice and his interests include transport and urban development strategy, integrated land use and transport planning, and new mobility. Additionally he recently completed his post graduate studies in Transport at Imperial College London where his research focused on Transit Oriented Developments, specifically concerning the factors influencing such developments in Auckland. As Auckland continues to expand, there will be significant pressures on both housing and transport needs. Strong population growth and housing demand has already led to urban sprawl as people move further away from the CBD in the search for more affordable housing. This has consequently contributed to gridlock along key arterial routes into and out of the city during peak hours. There is a clear need for more affordable housing while also reducing our reliance on private vehicles. One way to achieve this is through adopting the principles of Transit Oriented Development (TOD), which aims to develop high density, mixed-use living options in close proximity to local amenities (Restaurants, Shops, Schools etc.) with links to reliable and frequent public transport. This creates attractive places where people can live and work while also reducing their dependence on their private vehicles in favour of public transport for longer trips, and promoting walking and cycling where possible. In many ways Auckland Council is already actively working towards encouraging higher density development (terraced housing and apartment buildings) around key transport hubs under the Auckland Unitary Plan. One of the key panel recommendations within the Unitary Plan is to focus urban growth on centres, transport nodes and corridors to achieve a quality, compact urban form which opens doors and lays the foundation for such TOD schemes. This gives us a glimpse on what Auckland might look like in the future as a polycentric and multi-nodal city with a number of high density urban centres in places such as Manukau, New Lynn, Albany and Westgate. The image below shows the general location of these high density zones in red which tie in with key public transport corridors. This effectively brings together an integrated approach to planning housing and transport needs for the city. Although the Unitary Plan sets in place a vision for such urban form and earmarks key locations for TODs to take shape, the complex nature of such schemes involving multiple stakeholders (councils, commercial businesses, developers, funders, transport operators, residents and many more) mean that the reality of successfully developing, building and delivering such projects is often more difficult than initially anticipated. The road to hell is paved with good intentions. There are a number of factors that are immensely influential at a high level in determining the success of such TOD schemes. Some of these influences have been researched through literature available on TOD schemes undertaken internationally in countries including Australia, The United States and Canada. More local influences were derived through interviews with key stakeholders and residents in Auckland. These high level influences form a common foundation which enable successful outcomes and I will touch on some of the main ones within this post to help generate some discussion and thought around the matter. The issue of aggregation of land to enable significant TODs is an important and challenging matter in light of the Auckland Unitary Plan. In the current state, although large areas of land in close proximity to stations are zoned to encourage high-density developments and mixed use projects, the reality is that such land is still made up of a number of small individually owned parcels. This leads to obstacles where a single entity or organisation does not have the ability or power to be able to aggregate a large enough parcel of land to bring together enough resources to develop a well-planned and vibrant TOD. This problem is not one that faces a particular location in isolation, rather it’s one that poses an obstacle at most major transit hubs within the city’s isthmus. In its current state, the individual blocks are too small to do anything useful in terms of development, and it is hard to bring these parcels of land together, especially when many such parcels are occupied with multiple dwellings and owners. There are some locations where opportunities do present themselves with large enough land parcels to plan such a TOD at scale, however, these are more of an exception than the norm. As previously touched on, successful TOD outcomes almost always rely on a number of stakeholders coming together to deliver on a single, unified overarching vision on what a development needs to look like in the long run. The usual suspects include private developers, transport agencies, residents and council planners to name a few. Moreover, TOD design often includes a combination of land use planning and market research unique to each individual setting in understanding the local socio-economic climate and norms. A shared vision is critical between agencies responsible for delivering all aspects of a TOD, right from the transport infrastructure through to businesses, retail and supporting infrastructure such as schools and parks in the area. The devil lies in the detail of aligning these visions, developments and operations on successful TOD schemes to ensure long term sustainability and overall success. Failing this crucially important necessity can result in a number of missed opportunities and negative consequences for both, the TOD being designed as well as confidence in future TOD schemes. Here in Auckland, we have seen the benefits of large scale projects which have been shaped by a single integrated and bold vision. One that is frequently touted as a success story has been the Hobsonville Point Development, which is a medium to high density, residential and mixed use (to some degree) development within the land formally occupied by the Hobsonville Air Base. In some ways this united vision was partly due to the project being a public sector led development with a large investment, together with a big enough land holding which could be master-planned, designed and developed. The nature of the beast changes quickly when you bring in private sector developers and businesses each with their own masters to satisfy, agendas to follow and KPIs to meet. Time and time again, the importance of public sector intervention and leadership is shown to be critical in unlocking economic benefits and leading the identification, planning and implementation of such development opportunities. This helps ensure that overarching outcomes are maintained from inception through to completion. You cannot get a TOD working effectively if you don’t get the T and the D right. Time and time again, one or the other is missing or not done right, which often leads to either Transit Operators scratching their heads wondering why patronage is lacking or developers wondering why people would consider moving into (either buying or renting) developments with limited parking facilities. Public Transport services must be frequent, efficient, affordable and multi-modal offering residents reliable options to destinations they want to travel to. However Public Transport alone will not be sufficient, walkability and cyclability is essential and this must form part of the design process when master planning such a development. By encouraging walking and cycling to local destinations, TOD also helps in improving general health and well-being. Social interaction has also proven to help tremendously in improving mental health through interaction within the community. Dwellings also needs to offer choices for people of different lifestyles, backgrounds and social structures. This involves outreach and meaningful community involvement in the planning process to ensure a user-focused design. Housing density is also critical in unlocking many of the benefits derived from TOD, including reduced reliance on private motor vehicles, social capital and a vibrant street network. This feeds into Public Transport patronage which in turn helps in proving a case for more frequent transport services. In many ways, Auckland is playing catch up on historic planning norms and infrastructure investments which favoured dependency on our private vehicles. This has however started to change in more recent times. In addition to the Auckland Unitary Plan, the Government has recently released a new Draft Government Policy Statement 2018/19 – 2027/28 (GPS). In many ways the GPS sets the tone on what the Government values and how it intends to spend its money going forward. Within the GPS, the Government has outlined four main areas of focus – Safety, Access, Environment and Value for Money. If we dig a little deeper, we start to see how TOD will become a key enabler to achieving these key objectives. Safety: TOD aims to reduce private vehicle trips, consequently helping to reduce road casualties, deaths and serious injuries. Accessibility: TOD in its very nature intends to help deliver and improve access to both social and economic activities, and has shown to alleviate poverty by opening doors in delivering access to opportunities within lower socio-economic areas. Environment: Auckland’s average vehicle occupancy sits at just 1.2 people per vehicle. This is tremendously inefficient in terms of energy usage/km travelled. TOD improves access to Public Transport and active transport helping to deliver a more energy efficient and environmentally sustainable transport network. Value for Money: By bringing people closer to transit networks and hubs, helps reduce infrastructure spending and optimise investments where they are needed most. Development takes time and in many ways, Auckland’s public transport system has undergone significant change over the past 10 years. Sustainable TOD development at scale requires considerable collaboration and leadership. The devil is almost certainly in getting the detail of such developments right and in balancing the needs of individual stakeholders in exchange for the greater good of a vibrant and well utilised TOD. A number of examples from around the world has shown the benefit derived through offering a public agency the mandate to champion such developments. For example, UrbanGrowth NSW is a public sector led development corporation set up with an aim of creating vibrant, connected and inclusive urban places for people to live, work and enjoy. They have a remit to promote, co-ordinate, manage and secure orderly economic development of across a number of areas in metropolitan Sydney. Similarly the London Legacy Development Corporation helped catalyse sustainable development and regeneration in East London. In some ways, this process was started (by the previous Government) through the proposed introduction of such Urban Development Authorities here in New Zealand. Such authorities would be given the authority to overcome some of the challenges discussed and to support nationally or locally significant development projects. There are also opportunities for such developments to be catalysed through Public-Private-Partnerships (PPP) to help support the considerable initial investment needed on such schemes. Of course all TOD’s are unique with their own challenges and opportunities. I do believe they offer an immense potential in helping to unlock significant prospects for our city. Out of the circumstances and challenges that come with a growing city, there comes an opportunity to shape a sustainable city of the future. A long time ago the people developed a vision for Auckland. The Auckland of tomorrow will once again be shaped by the people of today. – AT’s parking strategy, which claims that 10,000 new park and ride facilities are required in Auckland, as if they don’t understand how these pnr facilities undermine HOD. Very timely post Aaron. Auckland is ripe for TOD builds and those builds could start within the next two years in fact. The most effective TODs are not always big and they dont always have to be on land adjacent to transport nodes. Toritsu Daigaku Station on Tokyu Corp’s Toyoko Line in Tokyo is a good example. When it was first decided to elevate the section of the Toyoko Line between Nakameguro and Jiyugaoka, the first building to go in at the new Toritsu Daigaku Station and right next to the station entrance/exit with all weather access, was a single storey metro-style supermarket. That one amenity immediately made the station a destination and increased ridership – through the intrinsic value of convenience. The metro supermarket build at Toritsu Daigaku Station was (and still is) a TOD. There was never any available land adjacent to any of the stations on the Toyoko Line and never any land available for a full-size supermarket build, so Tokyu Corp looked at better space utilisation at their stations to achieve real service convenience. 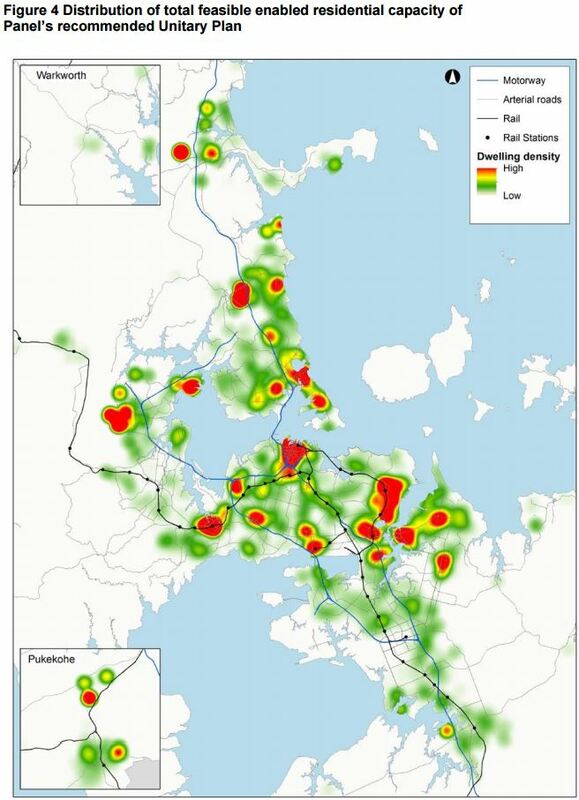 Auckland has several station locations already – at Manurewa and at New Lynn, where the simple act of building just one amenity over the top of the exisiting station footprint, will make a huge difference not only to getting more people to use public transport services but to make local amenities ‘really’ convenient / accessible. In the end, its all about income and ROI and when you design and deploy a TOD in such a compact and simple manner, it exceeds expectations. Thanks Rob – I am confident that we are on the right track and in many ways the public sector is taking a front foot on some of these developments. The CRL is a good example of where there has been a relatively strong focus on station oriented development and one that has ensured the consenting process gives importance to land use adjacent to the main station hubs. Another interesting project for Auckland will be the light rail line where it will certainly open the doors for many more opportunities in the near future. Its also the local development agencies (Panuku, looking at you here) keeping some real skin in the game. Currently the brief of Panuku seems to be amalgamate [or just inherit ala CRL surplus land] the land parcels and then flog it off to some developers en masse or worse, in chunks and hope like hell the developers deliver what they promised they would. It all smacks of the modus operandi of the Chase Corps and all the others from the ’80s all over again to me. We need Panuku to have a long term ownership and control of the TODs around the PT nodes. Partly to ensure good outcomes and also to ensure the value uplift from the TOD is captured and returned to the Councils via the CCOs. Sure Panuku can’t do it all on its own but it needs the right approach regarding its involvement to start. Without that nothing will change. Thats why we have so many crap TODs. However I see that the new owners of Central Park intend to really sort out that massive TURD pretending to be a TOD finally. It could have been so much better from the start. Maybe finally it will. But once again overseas people can see the value that our local property owners/developers can’t. Probably as they won’t look beyond the “car parks per floor plate” ratio. So far haven’t seen any major successful completed project from Panuku. A lot of it is in planning stage and whether it can be implemented as per vision is questionable. Even wynard quarter seem a bit too low density, and with poor pt connections. The buildings are not real mixed used. The block are either office, hotel, or residential, but nothing in between. So most of the area is a boring business park and become a ghost town after office hours. Compare to queen st, there is no vibrancy. Wynard quarter should go high density real mixed used instead of medium density office blocks. These TODs are really ramping up in Kuala Lumpur with the opening of MRT Line 1 last year and Line 2 opening up end of this year or next. From central city demolition and redevelopment, to new condos and malls on the outskirts. Its really noticeable. so dont build parknride at albany or papakura, put TOD on the land instead. As long as AT continue to expand p&r its all just hot air. There is no reason that well designed TOD & PnR cant go hand in hand. There will always be people that live in the suburban houses. It’s useful to provide them the option to PnR, especially if congestion tolling is put in place. PNR on the outskirts with shuttles to the PT perhaps. Not PNR taking the valuable land right next to the PT stations. That’s where the TOD needs to be. Cost effective & efficient design would see either development above the PnR or a vertical parking structure. Cost effective & efficient design would mean they don’t need to drive a car to the PT station in the first place! i.e. they would have good local loop services that get them from their suburbs to the PT node quickly and efficiently. Building multi-story structures at PT nodes as for PnR for cars is an expensive folly, if you do that you better build multi-story structures for people to live in instead of cars. 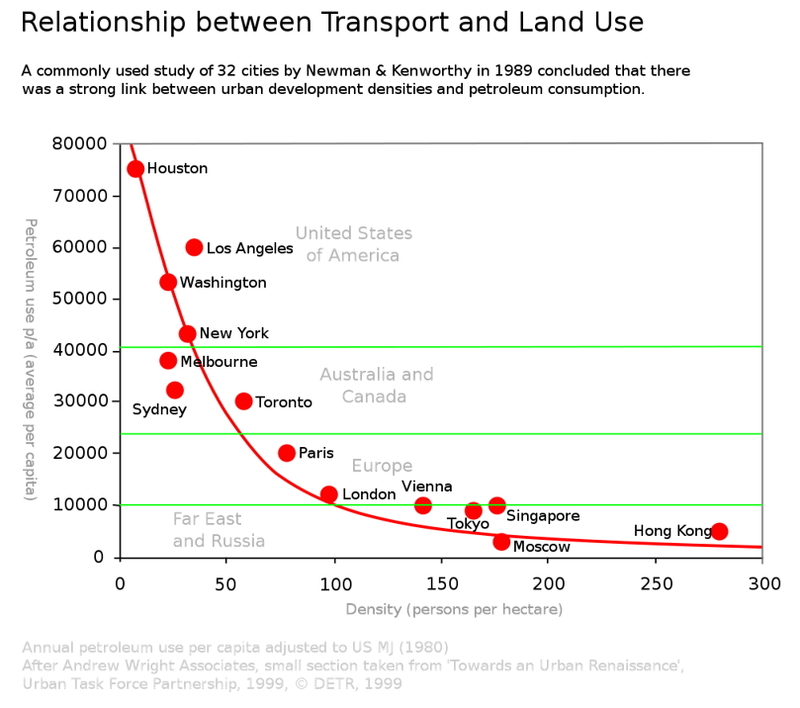 Where does your economic analysis for multi level park and rides come from? They cost about $50,000 per park and then you allow anyone (including the guy coming from just up the road) to park for nothing all day. The concept is madness because it encourages unlimited sprawl because you can live as far as you like from the park n ride and as long as you get there early enough you can have convenient access to public transport. Greg N, this is a point well made. I had to laugh when I heard Phil Twyford say that the government had pulled out all the stops to plan a $100 million housing project in Auckland. At the same time Auckland Council, with no attention to planning requirements whatsoever, has decided to spend $30 million on a multi level car park across town. I cannot help but think that this Council is in an economic mess because they simply have a bizarre set of priorities. Just this week Phil Goff has been saying that the Council is right on their borrowing limit yet we have unnecessary measures such as park n rides, car park buildings and the Mayor contemplating a billion dollar stadium. Greg, local loop buses won’t work as taka-ite points out. Also, I never said PnR should be free nor over supplied. If that is what AT is doing then they need to reconsider their approach. And yes, it works better if congestion tolling is in place. Kiwi, where does taka-ite suggest that local loop buses won’t work? His reference to public transport is about the PT the parkers would use after reaching the pnr. AT is certainly providing free park and ride. Have a look at their website and see all the park and ride sites that they proudly state are free. They must think that if they charge, people will drive on past the station and continue into town. Of course, people driving wouldn’t do so if the PT was prioritised enough and the parking at their destination was charged properly. But even if they charged for the cost of the carpark, it is still a carpark that either interrupts valuable walk and cycle-up catchment and bus approaches, or it is multistorey, involving way too much of the world’s resources just to store a piece of equipment for transport. If the surrounding residential density is low, useful local feeder bus service is not practical. The density much be high enough to have riderships support a high frequency local feeder service. P&R would be an intermediate solution to for remote low density suburbs to only drive a partial journey and take train for the rest of the journey. Otherwise people would drive all the way, which add traffic to congest the motorway along the whole route. Very well written post Aaron. It is about time that TOD is fully embraced in helping to delivery affordable housing while reducing congestion. There are a number of major developments going into Auckland such as the Unitec Development and others being undertaken by HLC, lets hope that such developments carefully consider integration with transit as well as the importance of walkability and active modes of transport. New Lynn Station reminds me of the blueprint that Sylvia Park should have followed. Steven, I think New Lynn is an interesting case, In many ways it was one of Auckland’s earlier TOD babies. It highlights some of the finer complexities around TOD planning and the importance of getting the local economics right. For example, some of the ground floor retail still struggles to thrive with the mall capturing most of the foot traffic in the area. Lots of literature around the world has also highlighted some of the risks associated with redeveloped retail not being priced correctly (in terms of weekly commercial rent). While there has been considerable investment on the transport side of things, there is significant opportunity to further build on densities in adjacent blocks to help support some of the retail offerings within the development. Often such things develop into a bit of a chicken and egg problem which underpins the importance in long term planning and ownership on such projects. -20 min off peak train and 40min journey to city is not attractive enough to make people want to live there. To make it attractive the train much be turn up and go frequency with journey speed faster than driving. -With the above issues, developers may find it hard to to market their properties with high asking price. This makes the development less profitable, compared to marketing the property in mission bay, takapuna or rememura. 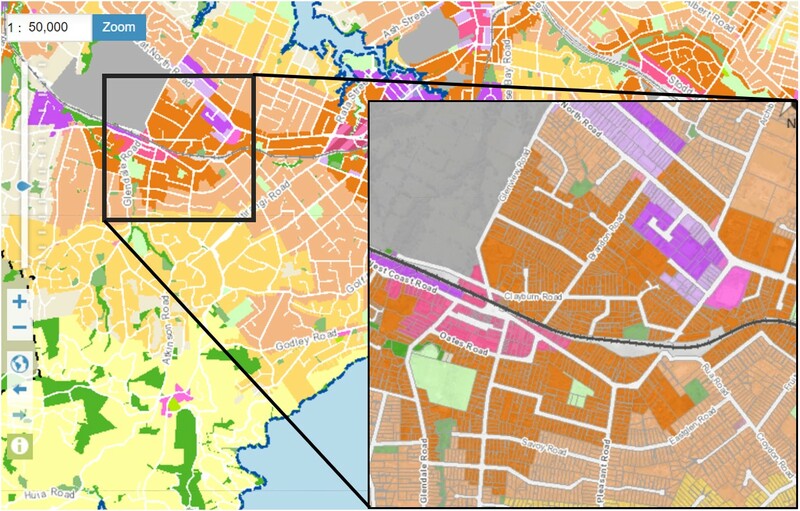 New Lynn vs. Sylvia Park really is Apples vs. Oranges stuff. Make no mistake – Sylvia Park is the superior location compared to New Lynn – It draws in everyone from all parts of Auckland, has a waiting list of upmarket retail stores wanting to come in, newly refurbished dining precinct, 15min train ride to CBD, relative closeness still to Airport. I’ve had conversations with work colleagues who said SP was originally meant to have some high rise residential built onto it, like how the commercial office tower is being built there now. I still expect to see this to eventually happen in the medium term – With some commercial land currently for sale directly opposite SP on the other side of the train station, Kiwi Property’s recent purchase of land behind on the current Vehicle Testing on Carbine Rd. I also don’t expect Coca-Cola to stay put – Seems like a no-brainer that this will be bought up by a developer and turned into med-high density apartments. One thing I’m still a bit peeved about is that SP could further be improved as an integrated multi-level transport hub since SE highway cuts through it servicing East-West, Eastern train line services City-South. The second Britomart I say. If you are the Stephen Lee who advises on shopping centre developments then you should declare a conflict of interest. I am fascinated to hear you back your assertion that Sylvia Park is the second Britomart. The last ridership figures that I saw showed Britomart and Newmarket stations ahead by a long way regarding boardings and alightings. Sorry, while SP has a train station it cannot be quantified in any way as a multi modal hub. I have never been to the mall to see why the train station doesn’t work successfully, but it doesn’t. I do regularly travel the Eastern line and only a handful of people tend to get off and on there. I suspect that it is a very tiny proportion of those who drive to SP. As I suggested the other day Kiwi Property, post the Carbon Zero Act, should be required to address the carbon emissions that their activities cause, or pay a tax so that someone else can fix them. In it’s current form, Sylvia Park is far from something that could be considered as “transit oriented development.” It is clearly visible from the vast area’s all around and on top of the mall dedicated to car parks that cars are the priority for Kiwi Property and not those people who arrive by Bus or Train. For those who come by train, the shelter on the platform is inadequate, though the same as a lot of other stations. Luckily the SE highway provides some additional, albeit limited, shelter. Pedestrians then take the overbridge which instead of taking them to where they want to go, unceremoniously dumps them on the east side of the road at the back of the mall, where absolutely nobody wants to be. In the past there used to be a pedestrian crossing there, but someone must have realised that there were times when these pedestrians held up a vehicle for more than 10 seconds so replaced this with a set of traffic lights. The issue is that these lights are setup to give priority to vehicle traffic, so when you have a lot of pedestrians coming off the train, the beg button is triggered and the pedestrians wait for the lights to cycle to red. As there’s not enough room on the footpath for everyone to wait, there becomes a queue up the stairs coming down from the overbridge. When the cross signal is given, the time to cross is too short for all those waiting so those who are queued up the stairs have to wait for the next cycle. However, instead of giving a cycle straight away, they have to wait a few minutes (even if no vehicles are coming). Last month when I was there, I counted 19 pedestrians waiting for a cross signal whilst 4 drivers in single occupant vehicles went through unhindered. When you finally get to the side of the road you actually wanted to be on in the 1st place, you then have to walk about another 50 metres with very little shelter to an uninviting back entrance to the mall. If you’re coming via Bus, then it’s a bit better, but you still have to walk across carparks and roads to get to the bus stops instead of having it directly out the front. 1. Extend the overbridge from the train station to the other side of the road. Why was this not considered from the start? 2. Until #1 is implemented, fix the cycle length and priority on the traffic lights from the station. 3. Look to have more shelter at the station for waiting passengers. 4. Change the entrance at the back of the mall to provide more shelter and look more like an actual entrance. There are many more, but starting with these few should actually see a lot more people using the train to get to/from Sylvia park. I agree in it’s current state SP isn’t not utilised to it’s fullest. Many people have commented and which I also agree – The train platform itself should be made to be implemented into SP going all the way from Carbine Rd with an overhead pedestrian bridge over the platform and into the mall. The current train platform is abysmal, with it’s tiny cramped and smelly wheelchair access, lack of standing space for the zebra crossing. That upper floor area outside Hoyts/Kathmandhu is almost arms length distance outside the commercial tower nearing completion. If that was a bus station you’d definitely get more patronage. The other thing I would have said is to fully integrate the above two points into one giant multi-level transport building. So you would have the train platform fully covered with pedestrian access in a straight line from Rock Shop to Carbine Rd, and SE bus station for cross-town E-W connection. Seeing as Kiwi Property are upgrading the buildings on both sides of the SE highway, wouldn’t it just make more sense if all the space was fully enclosed? I cannot argue with the logic of this post – very well written. I have one concern about a possible constraint – public perception. The “leaky buildings” episode was in hindsight a disaster not just for the owners caught, but for the prospects for medium density housing in NZ, because it gave it a bad image in the public eye. Even cladding fires like Grenfell in London don’t help here either. In France, Germany or Canada this concern would not exist, because they are already used to having high quality medium density buildings. Therefore I think it will be very important not just to plan the next generation of medium or high density residential development well, but to build them well too. They need to be seen as good quality, and nice places to live. With a few positive examples, hopefully a short train, tram or bus commute from the city, I am sure the image will soon change, as will public acceptance. The hotspot diagram shows plenty of areas closer to town that are well-served by good transit already, and which don’t show any additional feasible capacity. This is a huge lost opportunity. A major issue with unitary plan is the height to boundary restrictions. This rules pretty much make all small land holding infeasible to be redeveloped. That means small sections on high density zone cannot even build anything more than two level. So there is no point to redevelop. In Japan, people can build a three stories house with only 1 meter spacing in between and the neighbor have no right to object. In Paris, people can build Terrance housing with firewall on boundary. The rules about height to boundary restrictions should be revisited on THAB and MHU zoning near transit. Yes. These height to boundary rules are going to be responsible for the next round of poor urban design. In overseas, successful TOD like Hong Kong and Japan share a formula – The transit operator is also a developer and land holder around transit. This forces the transit to be good to in order to make the new development desirable, and vise visa. In NZ, AT is a silo, the developers is opportunistic, and local council is political. It is really hard to coordinate a good TOD. Good post. Unfortunately due to work commitments I was not able to comment earlier. B. Nuisance externalities that underpin restrictive planning rules such as, recession planes, height at boundary etc. D. How to provide a system whereby building more housing, that is better quality and lower priced provides a benefit for existing residents. In other words a solution to political opposition for more liberal planning regulations from the ‘home voter’ cohort who oppose such affordable housing reforms. I discussed such a process here on GA in a paper about how Hobsonville could be recreated in some residential blocks adjacent to some train stations in West Auckland. Following GA publishing that article I wrote up a paper title ‘Can great design help solve the housing crisis’, which refines the Master Block Planning process to something based on the feedback I recieved is publicly acceptable. Walking and cycling connection around streets is an issue. Too many cue-de-sac in our street network with no direct walking link between streets. And where there is a grid network, and an acceptance that the block sizes are too long, there is no mechanism to buy land to provide alleyways for active modes.